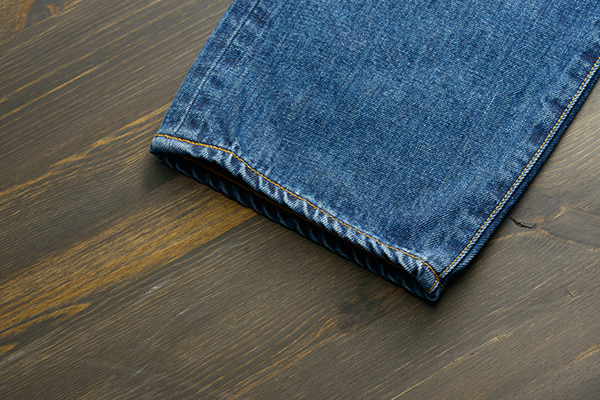 With pride in made-in-Japan quality, we use domestically produced fabrics to create fully made-to-order, original Shizuoka-style jeans based on our own patterns. 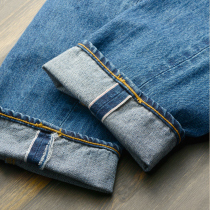 Design work is handled by Takuto Mochizuki, who has experience working as a custom designer for overseas brands and currently runs the jean repair and customization workshop Atelier Kizuna at the foot of Mt. Fuji. All production processes from sewing to treatments are carried out by hand at a factory in Okayama carefully selected by Mr. Mochizuki himself. Scoria from Mt. 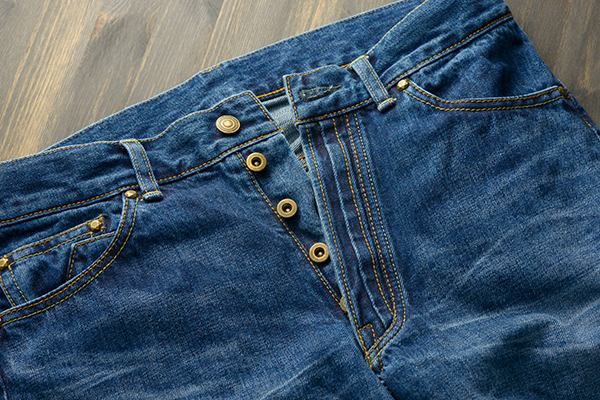 Fuji is used along with other rocks to stone wash the finished denim fabric for a bold yet exquisite finish. 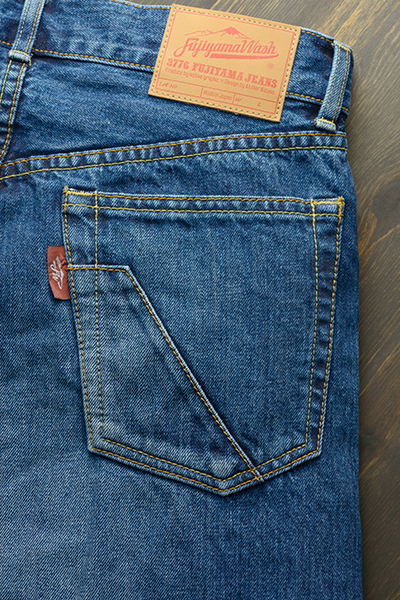 A tapered silhouette that gets narrower towards the bottom from a regular straight-type base. 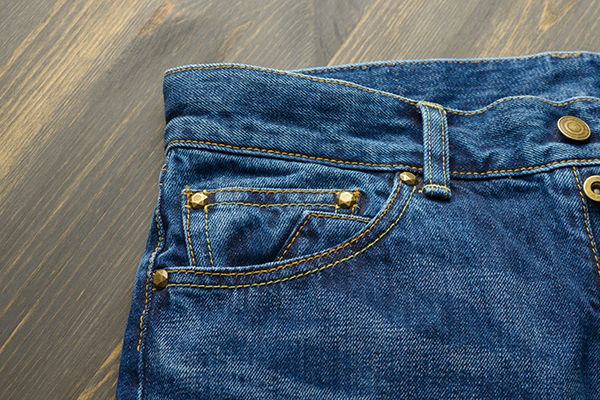 We were able to achieve a contemporary look to the footing while retaining a vintage style by slightly cutting back on the rise from the crotch up to the waist. 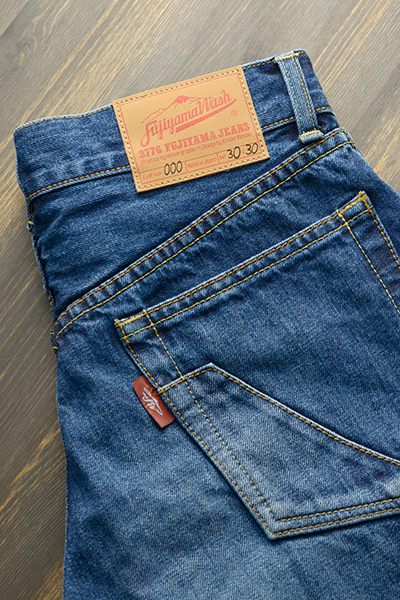 A subtle outline of Fujiyama is placed over the coin pocket and back pocket. 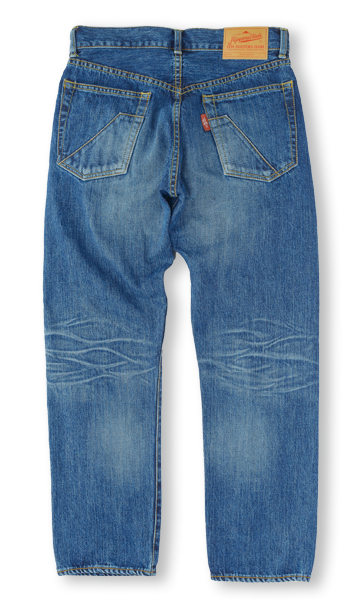 This pair of jeans matches perfectly with a wide range of t-shirts and jackets. 13.5 oz. 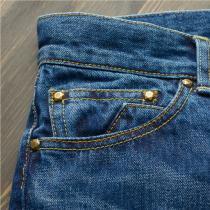 of Okayama selvedge denim is the material used. 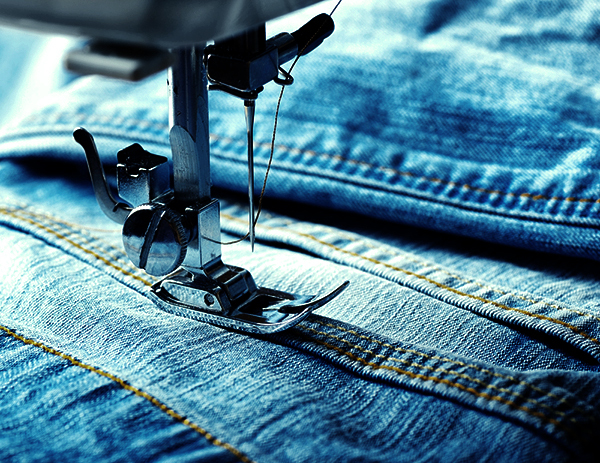 All production, from sewing, treatment, label weaving and patching is carried out at the finest factories in Japan, approved by designer Mr. Mochizuki down to the finest detail. This is the first time scoria from Mt. 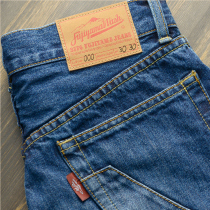 Fuji has been used to treat denim with the stone washing treatment. The perfect mixture for this process was arrived at through countless tests. 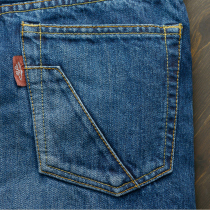 Only available in limited quantities, this original series of jeans is the culmination of the outstanding techniques of various craftsmen. 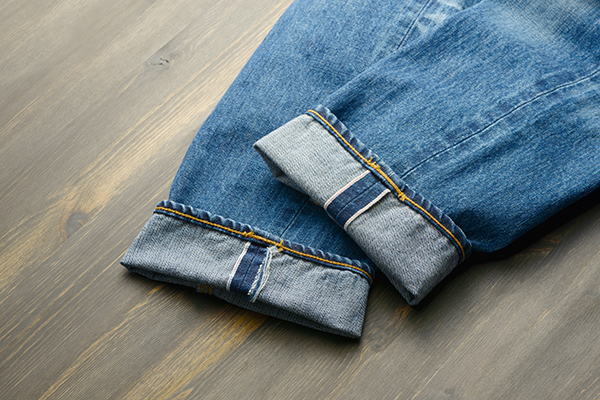 Finished jeans are subjected to test stone washing using Mt. Fuji scoria in order to achieve an optimal balance before moving on to full stone washing. The use of sharp, natural rocks from the foot of Mt. Fuji during this process means that abrasion is slightly more severe than with usual stone washing, achieving a rough texture combined with a soft feel on the skin. 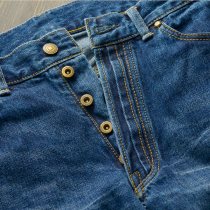 The unique indigo blue of selvage denim that stands out faintly against the whiskering, the color fading around the waist area, and other such details are the work of masterful artisans in Okayama. 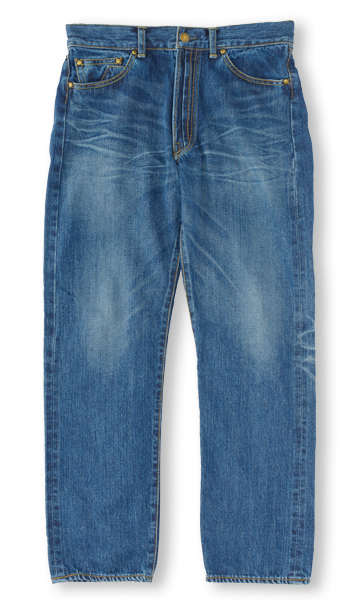 Users can enjoy a vintage denim feel as well as moderate color fading from the day they start wearing the jeans. *Abrasions, fraying, soiling and other such damage resulting from stone washing are evidence of our use of Mt. Fuji pumice. 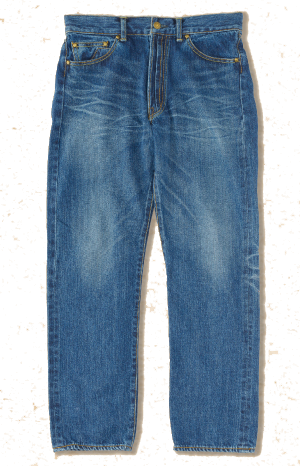 This damage is a characteristic of the strong washing treatment used. 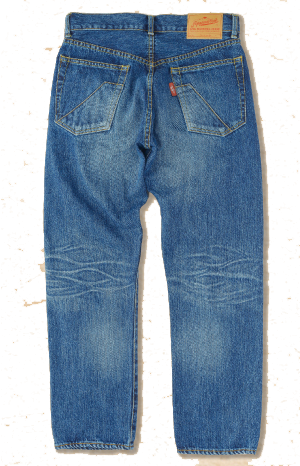 As such, please be aware that we cannot accept returned products based on frayed spots in the sewing, or other marks. *There may be a slight difference in sizes due to individual differences between products. Please keep this in mind when referring to the size chart. ● Staining as well as color bleeding resulting from product treatments during production may occur. Do not wash our jeans together with other items. ● When washing with water, avoid tumble drying as this may cause shrinkage. 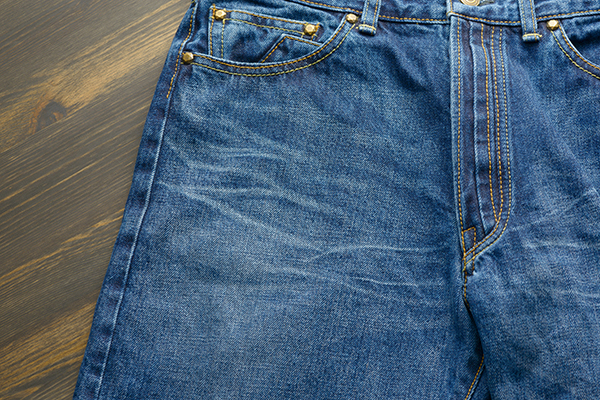 ● Due to material properties, coloring may rub off onto other clothing and items. 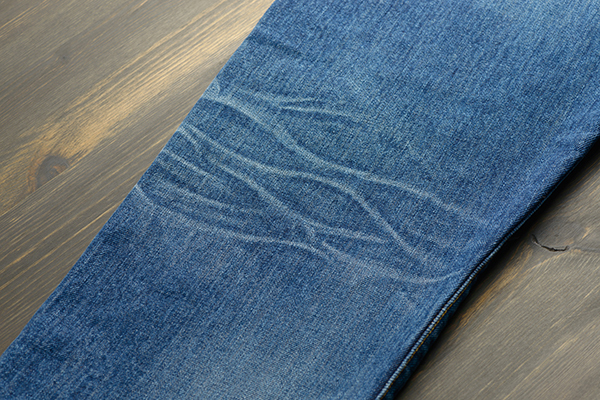 Please use care when wearing our jeans. 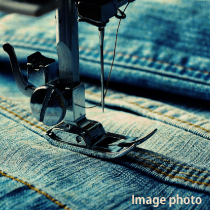 ● Thread breakage on parts of the product, material damage and so forth may be present as a result of our special vintage treatment methods. ● Scoria used during product treatments are procured through a licensed mining company. Please be aware that taking stones, rocks and so forth out of national parks is a violation of Japan's Natural Park Law. Copyright(C) native graphic All rights reserved.